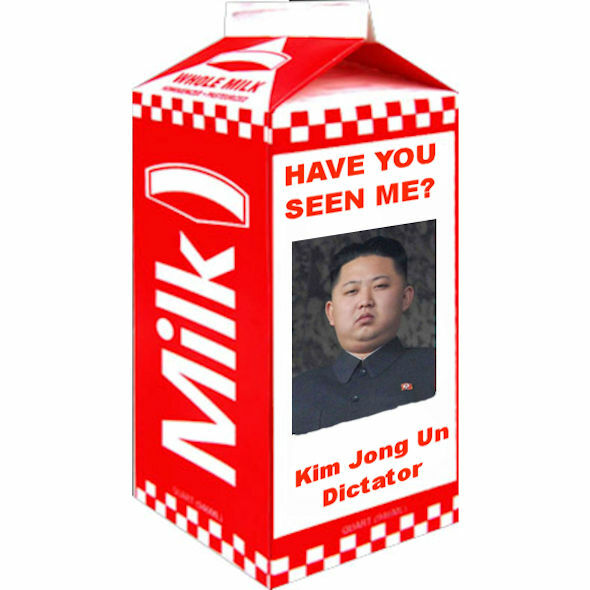 Where Is North Korean Leader? Police in the United Arab Emirates arrested an Indian national in a females-only park, saying the man was dressed as a woman. The man was charged with violating “principles of public decency and societal customs and authentic Arab Islamic traditions,” although he got a few points for not having shaved his mustache as part of his disguise. However those points were taken back when it was discovered he had shaved elsewhere. The Greek Parliament voted to implement austerity spending cuts in an attempt to stem the country’s spiral into economic disaster. As the government voted on the measure thousands of unhappy Greeks rioted in the streets of Athens, mainly just to have something to do since unemployment there is running at around 99%. Mauritanian President Mohamed Ould Abdel Aziz was shot by members of his country’s military Sunday in what is being termed a “friendly fire” incident. Abdel Aziz is being treated for his wounds at a French military hospital. The oldest message in a bottle on record was found by fisherman Andrew Leaper in April while sailing east of the Shetland Islands, which lie off Scotland’s northern coast. It was also the record for the shortest distance traveled in 98 years, as the bottle was originally released from Scotland in 1912. Bra-Killer: Do We Need Underwear Control? A Russian woman has been charged with strangling her neighbor with her bra when he refused to give her money to buy alcohol. That’s it – I don’t think I need to make anything up here. China has lifted a 14-year ban on blood donation by lesbians, enacted in 1998 as an anti-HIV measure. The change is widely seen as recognition by the communist regime that behavior rather than sexual orientation contributes to the spread of HIV/AIDS. UPDATE: Gay men are still banned from donating blood in the United States, and have been since the 1980s, although there is a movement in Congress to end this ban. Brutal Egyptian dictator Hosni Mubarak is seen here in happier times hanging-out with people who shared his values and beliefs. Former Egyptian strongman Hosni Mubarak has reportedly been declared clinically dead at a hospital in Cairo after suffering a massive heart attack. However, sources in the Egyptian military dispute this claim, saying Mubarak is alive but in critical condition, kind of like Egypt. Swedish researchers Peter Lindberg and Dennis Asberg are returning to the site of the mysterious “Baltic Anomaly”, a strange circular formation on the floor of the Baltic Sea that they discovered last year while searching for a WWI shipwreck. Speculation about the nature of the site ranges from an emerging volcano to a crashed UFO. Ex-British Prime Minister Tony Blair, testifying for an investigation into media bribery of police, said that media mogul Rupert Murdoch lobbied him directly when he was in power. “Pressure from him was more political than commercial” Blair said. Blair claims he is not “too cozy” with Murdoch, even though he is the godfather of one of Murdoch’s children. Disney World in Japan has agreed to allow a lesbian couple to hold a symbolic marriage ceremony at the theme park. At first park officials insisted the couple must dress as a man and a woman, apparently hoping no one would notice they were both women, but relented after an Internet backlash erupted. The Pakistani doctor who helped identify Osama bin Laden just before American troops killed the terrorist leader has been given a 33-year sentence for treason in a Pakistani tribal court. Doctor Shakeel Afridi used a vaccination program to gather DNA samples in the area where bin Laden was living. Debris from the 2011 tsunami in Japan has reached North America. Plastic bottles, children’s toys, and insulating foam from buildings is washing up on beaches in the Alaskan panhandle. Although it is estimated that 70% of the tsunami debris has sunk, it is also estimated that as much as 1.5 million tons is headed for North America. A flight from Paris to Charlotte, North Carolina, was diverted to Bangor, Maine, after a female passenger claimed to have a surgically implanted device. Doctors on the flight could find no evidence of recent surgery, and the woman was taken into custody at Bangor and will undergo psychological evaluation. The most amazing thing about this story is you can actually fly directly from Paris to Charlotte, North Carolina! A penguin known as number 337 scaled a 13-foot-high wall and then got through a barbed-wire fence to escape from Tokyo’s Sea Life Park. The aquatic bird has been living in Tokyo Bay for two months now, apparently eating small fish and holing-up somewhere on shore at night. The rest of the world moans in agony…. Francois Hollande has defeated Nicolas Sarkozy for the office of President of France. Sarkozy’s inability to repair France’s damaged economy has resulted in the election of the first socialist president since Francois Mitterrand left office in 1995. Apparently the French memory lasts about 17 years. It is interesting that they have elected a candidate whose name is that of another country – kind of like if Americans elected a president named Canada. Human rights activist Chen Guangcheng, who is blind, had been imprisoned in China for four years, and spent the past 18 months under house arrest. He escaped last week. An actual photograph of the Iranian copy of a downed American drone aircraft. Iranian sources say hundreds of millions of Iranian rials were spent on the program. Reports from South Korea indicate North Korea has launched its Unha-3 rocket. The U.S. and its allies consider the launch an attempt to test long-range missile technology. Early indications from the massive numbers of satellites and radar facilities pointed at the Korean Peninsula are the launch was not a success. Canada has decided to stop making pennies. “The penny is a currency without any currency,” said Finance Minister and ex-"SCTV" star Jim Flaherty, who obviously thinks he's pretty clever. The penny has been costing Canada 1.6 cents to maintain in circulation. President Barack Obama toured the South Korean lines of the Korean peninsula's demilitarized zone Sunday. The President is in Korea for an international nuclear summit. Officials from 54 countries including China and Russia will attend the summit. North Korea will supply the nukes.